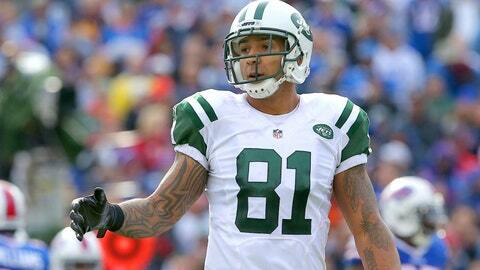 Kellen Winslow picks the Patriots for the big game? Say it ain't so! I give Kellen Winslow credit for being realistic. The way it looks right now, today… Looks like a Seahawks vs Patriots/Broncos Super Bowl RT @herEVILS_ : superbowl predictions? "was up my dude. I agree I got the pats vs broncos in AFC championship and Panthers vs Seahawks in NFC championship." Let’s start here: I can’t give him a pass for picking the Patriots to possibly reach the Super Bowl. No red-blooded Jets player or fan should ever do that, even if it’s true. You just don’t say that out loud. It’s just bad for business. But, for those people upset that he doesn’t see the Jets reaching the AFC title game, stop it. Yes, the Jets are 5-7 and aren’t completely out of the playoff race yet. However, the Jets aren’t a Super Bowl team. They’re just not. There’s no real shame in that. Anyone watching the games can see it with their own eyes. They’re a year or two and several pieces away from being a legitimate title contender. Does that mean Winslow is giving up on the season? Heck no. He even said as much after the Jets’ humiliating loss to the Dolphins at home on Sunday. If Winslow had put his own team in the Super Bowl dicussion, he would have been mocked mercilessly. So, let’s not start questioning his motives when he speaks his mind. OK, I need to grab a jacket because it’s getting cold up here on my soapbox.